By providing a wholly transparent and inclusive fee structure, LVS Ascot offers parents a refreshing perspective of school fees. Our all inclusive structure is outlined below. 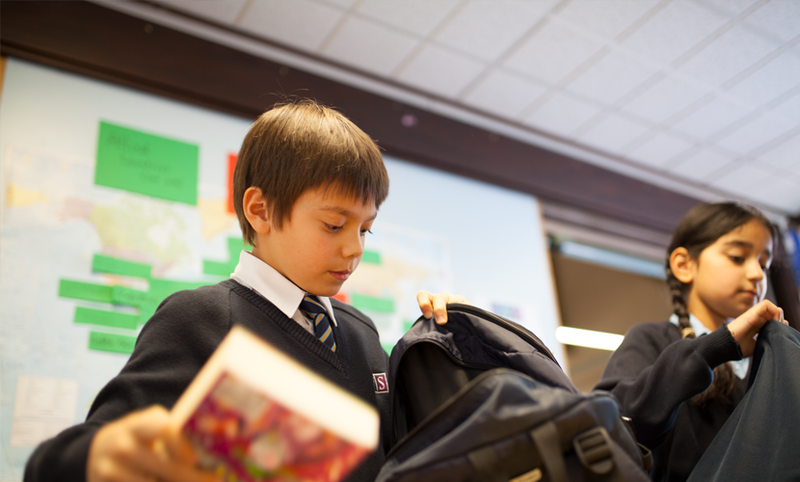 All fees include lunch for day pupils and all meals for weekly and full boarders. The termly fee for each student also includes the costs for curriculum books, exam entrance charges, sports fixture travel, personal accident insurance and the majority of after-school activities. For boarders, evening and weekend activity programmes are also included. Our refreshing view of school fees offers a transparent fee structure. We regularly compare our fees to other local, independent schools and are confident that the cost of education at LVS Ascot is better value. As well as our fees being comparable or lower than similar schools, the extras often charged by these schools are already included in the fees you pay us. For example, parents can be charged an additional £200-£300 per term for school meals, £300 for books and in senior school an additional £400 for GCSE and £300 for A-Level exams. These are all included in the fees you pay at LVS Ascot. **UK and EU citizens residing permanently (more than 5 years) in the UK; parents will be asked to submit documentation proving length of residency in the UK e.g. N.I number, tax returns, utility bills etc. Childcare vouchers can be used toward the boarding element of a child’s school fees until 1 September following their 15th birthday. During this time, we will also accept childcare vouchers as payment toward extended day sessions and after school clubs. We offer Senior School Scholarships for entry into Year 7 and Sixth Form Awards for entry into Year 12. Find out more information about our Scholarships and Awards here. You can pay your fees in a number of ways, direct to the bank, by cheque or through a monthly payment plan. Click below for more details. A 10% reduction is available for the third and subsequent child whilst all three attend the school. Combined saving – If your child is with us from the start of the academic year for Year 4 and remains with us into Year 7 then continues through to the end of Year 13 you will benefit from a fantastic combined saving. Year 7 – If your child is with us from the start of the academic year for Year 4 and remains with us into Year 7 you will benefit from a 5% discount on the fees (excluding extras) for Year 7 only. Year 13 – If your child is with us from the start of the academic year for Year 7 and remains with us to the end of Year 13 you will benefit from the final Year 13 terms fees (excluding extras) free. A 10% reduction in fees is available to all HM Forces & UK Diplomatic personnel for day and boarding pupils within the Senior School. A 15% reduction in fees is available to all HM Forces & UK Diplomatic personnel for day and boarding pupils within the Infant & Junior School. If you are currently in the armed forces, you may be able to claim a Continuity of Education Allowance (CEA) to help pay for your child’s fees. More information is available from the Children’s Education Advisory Service at https://www.gov.uk/guidance/childrens-education-advisory-service. To be eligible for the discount: Parents must currently be working in the HM Forces or UK Diplomatic Service and have done so consecutively for the last 5 years. This should be the main source of family income and applicants will be expected to provide evidence of this. LVS Ascot is owned and managed by the Licensed Trade Charity, our first school opened in 1803 to educate children with parents from the licensed drinks trade. We continue to support licensed drinks trade people and offer discounted rates. If you have worked in the licensed drinks trade, full-time (or the equivalent of), for 5 years, you could be entitled to a 20% discount. To be eligible for the discount: This should be (or have been) the main source of family income and applicants will be expected to provide evidence of this. The Charity also offers Senior School Scholarships for families in the licensed drinks trade, for entry into Years 9 and 12. Find out more information about Scholarships and Bursaries for those from the licensed trade here.